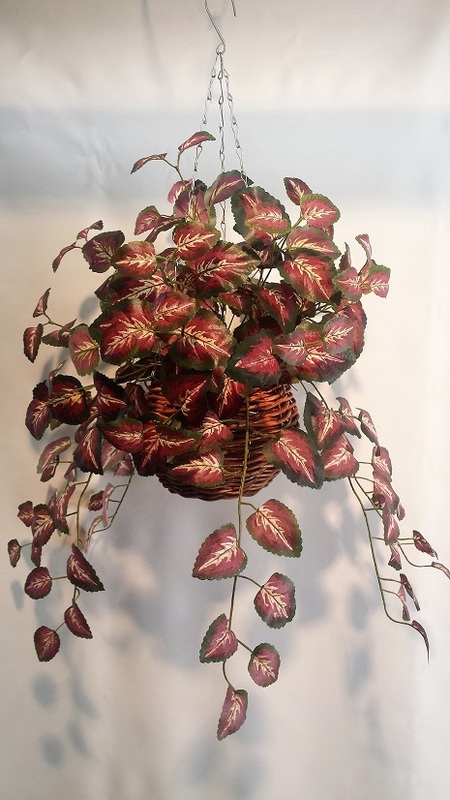 An Artificial Coleus Vine Bush 180 lvs-single in cane hanging basket has very realistic foliage. 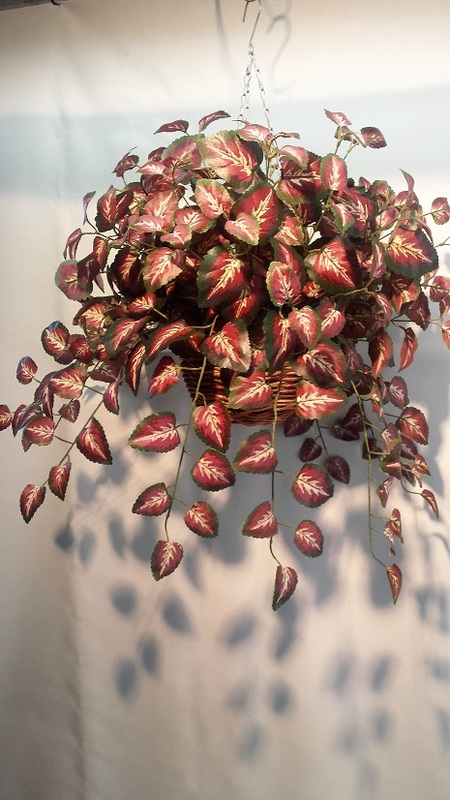 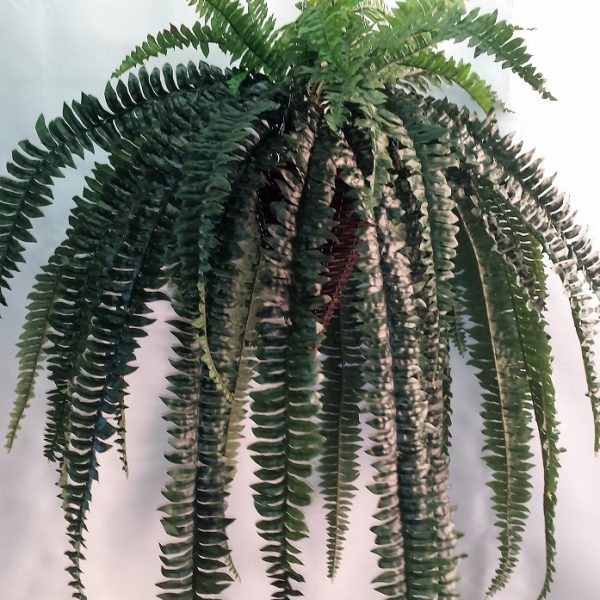 Supplied in a cane hanging basket, these are also available double potted. 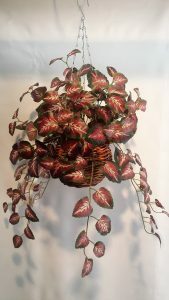 An Artificial Coleus Vine Bush 180 lvs-single in cane hanging basket has very realistic foliage. 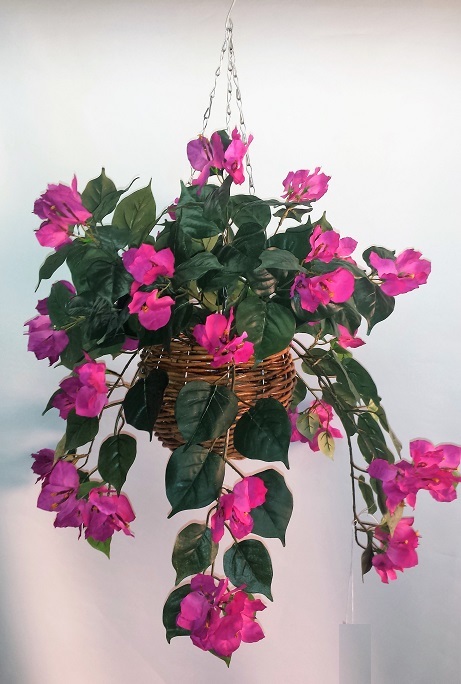 Supplied in a cane hanging basket, these are also available double potted for the fuller lusher look.